Pay-TV competition? What pay-TV competition? Naspers-owned MultiChoice grew its SA subscriber base by 450 000 to 2,8m homes in the 2010 financial year. And it added 1,1m new subscribers in other African markets. SA consumers, it would appear, weren’t tempted to put off their pay-TV purchasing decisions until after the recent launch of On Digital Media’s TopTV, the first direct competitor to MultiChoice’s DStv. Instead, DStv decoders have been flying off retailers’ shelves. Naspers says in notes accompanying its 2010 financial results that MultiChoice has enjoyed strong growth in its mid-tier Compact bouquet, which offers subscribers a mix of general entertainment and sports content at about half the price of its Premium bouquet. The solid performance in pay-TV, coupled with strong growth in online and exposure to fast-growing emerging markets, has helped Naspers, SA’s largest and most globalised media group, offset a decline in its traditional print media business. 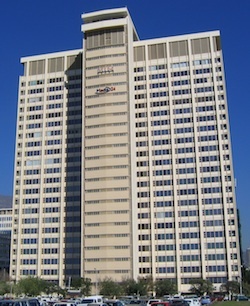 In the financial year to 31 March 2010, Naspers’s operating profit climbed 10% to R5,4bn on sales that rose 5% to R28bn. But that masks the full picture. The strong rand depressed sales and profit growth — revenue would have risen by 11% and operating profit by 17% if the rand had remained stable, the group says. Core headline earnings rose 22% to R5,3bn. Pay-TV revenues climbed 12% on the back of new subscriber growth, though the effect of the launch of rival TopTV isn’t reflected in the 2010 results. The interim results to 31 September 2010 should provide more insight into whether On Digital Media is having any impact on MultiChoice’s market share. The MultiChoice rivals is believed to have sold more than 50 000 decoders since its launch in May. After strong Christmas sales, pay-TV growth at MultiChoice slowed in the final quarter of the financial year (January to March), though this is seasonal and is unlikely to have been due to consumers holding back purchases ahead of the TopTV launch. Operating margins also fell slightly due to the “cost of building the subscriber base” and higher content costs flowing from increased competition and more local production. It’s in online, though, where Naspers is really flying. The group’s Internet businesses grew revenues by 24% to R9,2bn, in spite of a strong rand. Its share of the equity-accounted results of its associates, mainly China’s Tencent, Russia’s Mail.ru and Poland’s Abril, increased to R2,1bn from R1,5bn in 2009. Revenue growth at Tencent climbed 49%, with its contribution to core headline earnings rising by 76% to R1,9bn; Mail.ru, which has 81m active e-mail users, contributed R70m, down from R87m before. The group’s print business came under intense pressure, with a 5% decline in revenues. Circulation of newspapers and magazines “held up remarkably, but advertising felt the blows”, Naspers says. for now Multichoice won’t be affected much but in the long run, should TopTV maintain their prices, Multichioce will start losing custemers. Its still early days. they should not celebrate yet. Multichoice really needs stiff competition as it is offering a sub-standard service at a high price. The number of re-runs seems to be getting worse and although there is lots of channels there is very little new and lots of stuff nobody wants. The only reason they have been able to grow their service is due to the decline in the offerings from SABC and the fact that they have to had any competition. I hope that TOP TV and the other can put some pressure on Multichoice to force them to improve content and lower proces. M-Net, your channel of Champions; SABC & E-tv your Champions of re-runs!